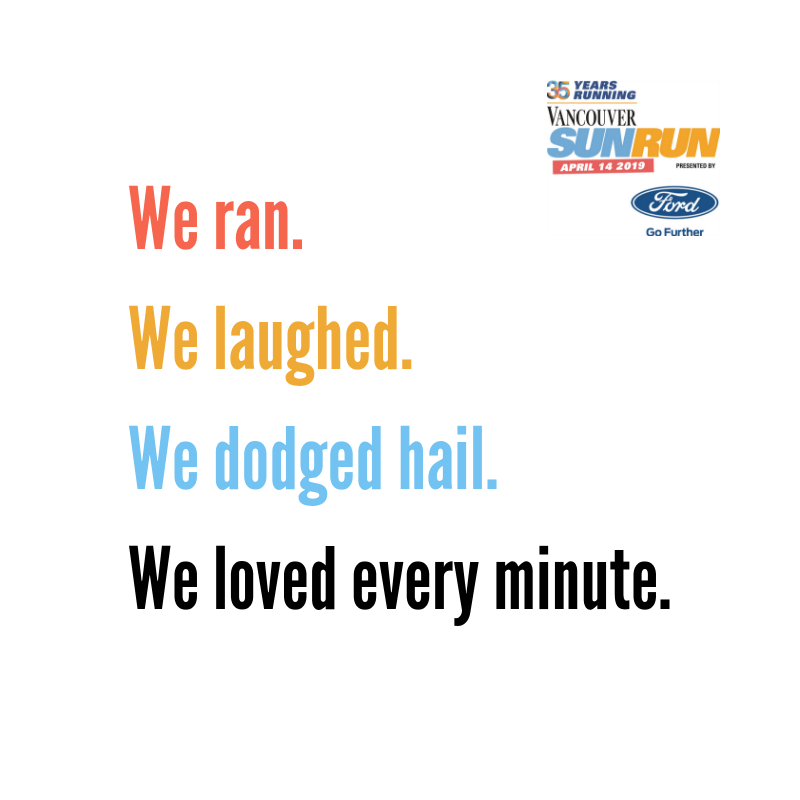 I have been looking forward to the Sun Run all year! I was a little nervous going into the race as my ankle has not been 100% since Harry Rosen 8k. Rob Neilson and Bobby Crudo chiro/massage have helped alot get me back to running over the last few months. The elite race coordinators were amazing. We picked our race numbers up at the Hyatt and everything was so well organized. Race morning I felt really good,relaxed, ready to race and of course the weather was beautiful. With the sun shining I warmed up from yaletown to the starting line. After a couple strides and a few porta potty stops I lined up with 60 000 runners. The first mile was quick going downhill ( thanks to John Hill calling out the mile split). I found a little pack and settled in. The race went by so fast I missed the 7km mark and next thing I knew there it was 8km. I had to find another gear to stay with the VFAC crew that went by me. On the cambie bridge I knew I had more in me and started pushing to catch Mr. Christopher Brandt. We had a fun sprint to the finish we crossed the line together however Chris informed me gun time he was 3 sec ahead of me. 36:43. Of course I always want to run faster but everything that has happened I am pleased with the result.